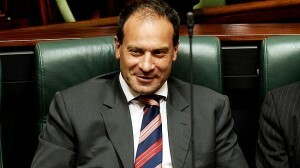 Controversial Victorian MP Geoff Shaw says he would like Victoria’s abortion laws changed and has flagged tabling a private member’s bill. Geoff Shaw wants to introduce a bill that allows doctors who objected to performing abortions and to refuse to refer women to another practitioner. Premier Denis Napthine said Shaw had not indicated to the Victorian government that he had any proposal to bring forward a private member’s bill on the issue. “Let’s take one step at a time, one day at a time, rather than talking in hypotheticals,” Dr Napthine told reporters on Thursday. He said the government would not introduce any legislation to change abortion laws. “I will not support any legislation that reduces a woman’s right to choose,” he said. Dr Napthine said MPs could make notice of a private member’s bill but it was up to the parliament to decide whether to allow the bill to be introduced. Mr Shaw has told the ABC that Victoria’s abortion laws are some of the worst in the world. At present, Victorian law requires medical practitioners with a conscientious objection to terminations to refer a woman seeking one to another practitioner.